Whisper Rock is a private 800-acre, guard-gated community of 197 custom homes placed elegantly into the picturesque desert of north Scottsdale. The Homes of Whisper Rock Estates are inspired by traditional American Southwest architecture including styles from Old World, Native American, Latin American, and Spanish Colonial cultures. Whisper Rock Estates architecture emphasizes timeless, authentic design that features rustic simplicity and enduring charm. Every facet of this community has been designed to accentuate the well-preserved Sonoran Desert surroundings. 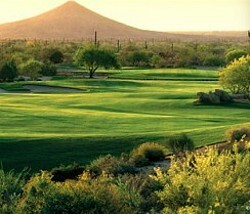 Whisper Rock Club & Golf Membership is separate from property ownership.